Should Kansans accept the results of a public opinion poll when little is known about it? Recently American Cancer Society Cancer Action Network released results of a poll regarding Medicaid expansion in Kansas. 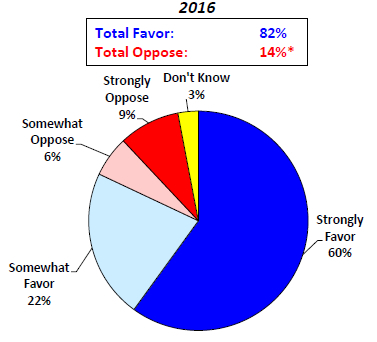 What ACS CAN wants us to know is that 82 percent of Kansans favor expansion. But before we accept these results, we need to know that ACS CAN will not release the full results of the survey, as other organizations have done. Sample results from the poll. Click for the full chart. But ACS CAN, despite multiple requests to several contacts, will not release the full results of the poll, as other public policy advocacy groups have done. It would be unfair to conclude that ACS CAN has something to hide, or that the poll was constructed in a way to be misleading. Conversely, it is not wise to give much weight to this poll when we know so little about it.